Classical music: People yearn for meaningful music to be meaningfully presented – especially if it is by J.S. Bach, who influenced so many other composers. Co-founders pianist Jeffrey Sykes and flutist Stephanie Jutt (below) recently answered questions for The Well-Tempered Ear. Over three days, that interview will be posted. Today’s is the second installment. What lessons have you learned and how have you stayed the same and how have you changed after 20 years? The central lesson of 20 years of BDDS is this: People want meaningful, authentic, emotionally and spiritually satisfying experiences in their lives. Classical chamber music can be an INCREDIBLE route to those kinds of experiences—and anything we can do to help audiences engage in the music and get that payoff is well worth our time, effort, and resources. As I mentioned yesterday, from the beginning we have been committed to engaging the audience in this fashion; and all of the “extra” things — like colorful installations (below) we do in concerts are done with this in mind. Sometimes our “extras” are successful; sometimes not. Sometimes we’ve been criticized for our “craziness,” sometimes we’re praised. But the impulse behind it all is genuine: we want to help the audience engage. Our understanding of this has deepened over 20 years, but looking back, we can see this philosophy operating in our very first concerts. I remember in our second season we performed Messiaen’s “Quartet for the End of Time.” It’s a long and challenging work for a general audience, and so we decided to have readings between the movements — short poems and stories that related to the content of each movement. It added about five minutes to an already long piece. Looking back on that performance, isn’t it possible that the readings between the movements contributed to the quality of the listening? Isn’t it likely that the audience paid such close attention because they were set up to have an emotionally engaging experience with this challenging music? Honestly, when I listen to the performance today — Stephanie and I have been listening to a lot of our old performances this year — the actual playing in that performance wasn’t our best. But the readings put you immediately into the right space to hear what Messiaen has to say. As for all the “fun” stuff — the door prizes (giving away copies of famous novels for last summer’s “Novel Obsessions” programs below), mystery guests, novelty pieces — these things, too, help create an atmosphere conducive to authentic audience response. When people feel free to laugh, they’re more open to the possibility of engaging emotionally in other ways, too. Think about all the great Shakespeare plays: the comedies have their tragic moments, the tragedies their comic moments. 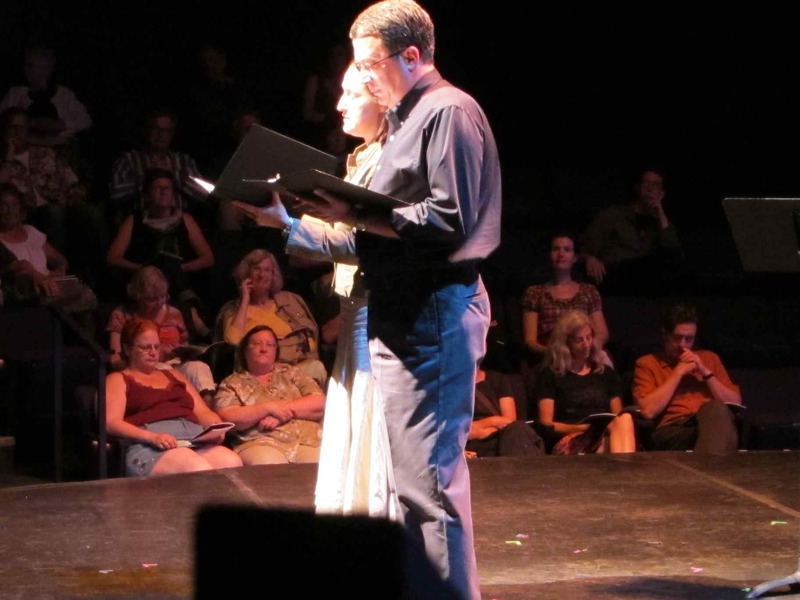 What would “Hamlet” be without Rosencrantz and Guildenstern? Stephanie chimes in: This is like Click and Clack!!! I think one way that we have really developed is we DRESS UP MORE! In the early days, we just wore any old thing, and we were so young and beautiful that it just didn’t matter. As we’ve gotten older, we need a bit more…. Structure. So we try to put on our best duds (and that could include a green Poison Ivy costume by artist Carolyn Kallenborn). But seriously – I think the main way that we have grown is that we have become more conscious and attentive to production values. By that, I mean, we try to streamline the performances so that there’s not much lag time between pieces. We organize what we are going to say a bit more so that the audience is informed and engaged. We try to keep the concerts to a decent length. If we can afford it, we serve cake (this year we’ll have birthday cake at every performance, thanks to the generosity of La Brioche)! 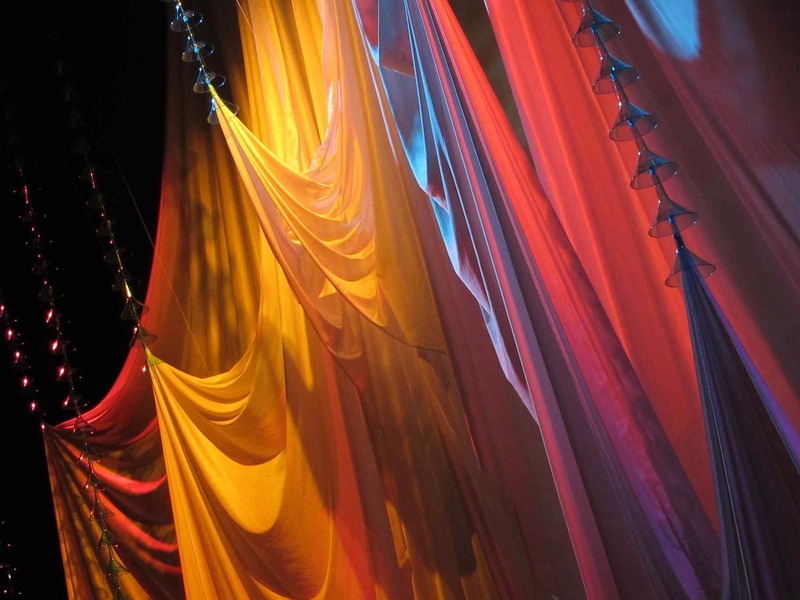 We’ve gotten more adventurous over the years with the installation aspect, since we can do so much at Overture Playhouse, and include lighting treatments and sometimes film in the performances. But at the core, our mission remains the same: challenging, inventive music in a party atmosphere. Everyone loves a good party! Why did you make Bach the centerpiece or axis of this summer’s concerts? As I’m sure you’ve noticed, we’re not named the “Mozart Dancing and Dynamite Society,” the “Beethoven Dancing and Dynamite Society,” the “Brahms Dancing and Dynamite Society,” or the “Piazzolla Dancing and Dynamite Society,” even though we play a lot of music by those composers. While those would all be worthy Societies, we’ve chosen to name ourselves after Bach. It’s not because nothing important happened before Bach — he didn’t spring fully formed from the head of Zeus, and there’s plenty of great music from well before his time. 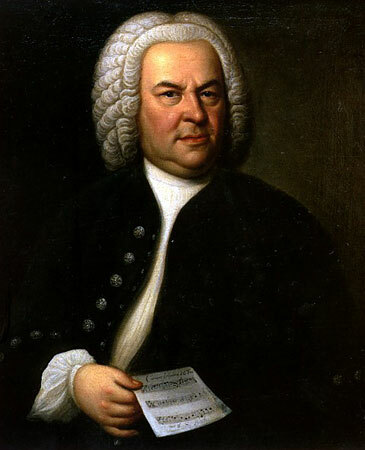 Bach (below) is the “father of Western music” because the music after him was so decisively shaped by his models. There is not a single work in our program this season that doesn’t show the influence of Bach in some way. In fact, in our 20 seasons of programming, there is only one work definitely not influenced by Bach—and that’s because it was written before Bach was born. 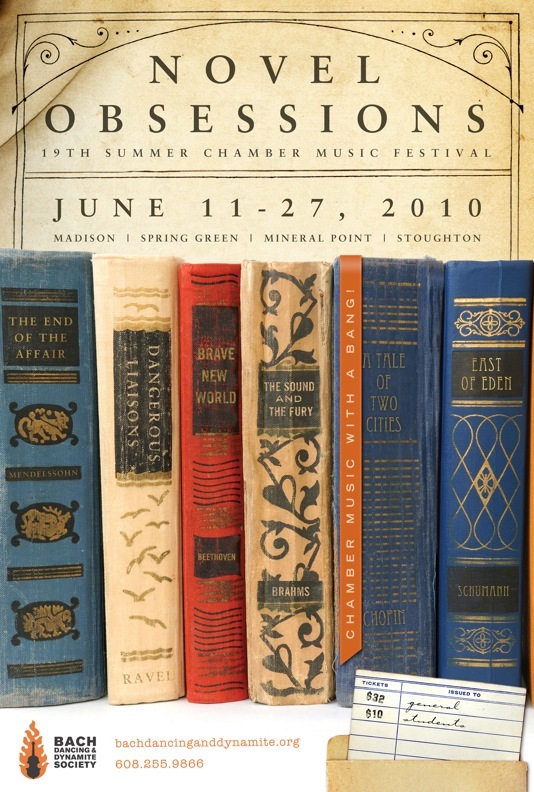 The canonic writing of the Franck violin sonata, the sound painting of Vaughan Williams’ “On Wenlock Edge,” the fugue of the Shostakovich piano quintet, the motivic interplay of “An American in Paris,” the spiritual profundity of Messiaen’s “Visions de l’amen,” the counterpoint of Ravel, Brahms, and Piazzolla — all of these owe their existence to Bach. We musicians are all babies in the cradle compared to him. “The deepest thoughts and most powerful feelings” — that’s Bach in nutshell. We’ve been chided for not playing enough Bach over the years (even though we’ve actually played quite a lot), so we thought we’d put that to rest once and forever. 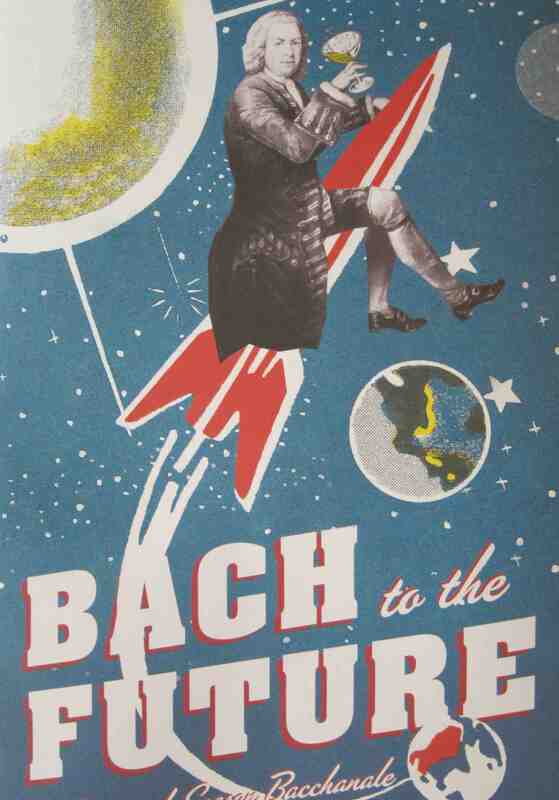 And give that this is our 20th season, we’re looking “Bach” to our beginnings and looking ahead to our next 20 seasons — thus “Bach to the Future.” And the “20th Season Bacchanale” part — it’s going to be a great party. Stephanie chimes in: When I was growing up in the delta of San Joaquin County in California, the J.S. Bach sonatas symbolized everything that I desired at that time in my life: complexity, a grand order, passion, soulfulness, and nuance. My life had virtually none of those qualities! So when I sat down to play the Bach sonatas, I was able enter a world that was self-contained – like a terrarium – and which held all the things I needed to sustain life. It’s a perfect, thorny and beautiful world. When my son Trace was growing up and beginning to play the Bach cello suites, I told him that they were “desert island” pieces – if you were going to be stranded on a desert island for the rest of your life, the Bach Suites were the one piece you wanted to take with you. They would sustain you through a lifetime of solitude on a deserted island. And that is still true today – no matter how many times you play the music of J.S. Bach, it is ALWAYS fresh, there is always a new rock to turn over and find something exceptional waiting for you. Bach never fails. That’s why we use his name and that’s why we’re honoring him this summer.